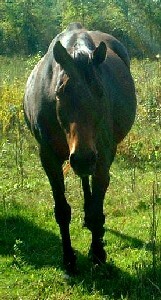 © 2003-2011 Amberlea Equestrian Services, all rights reserved as protected by law. Please obtain permission to use the content, photos or graphics found on this site. 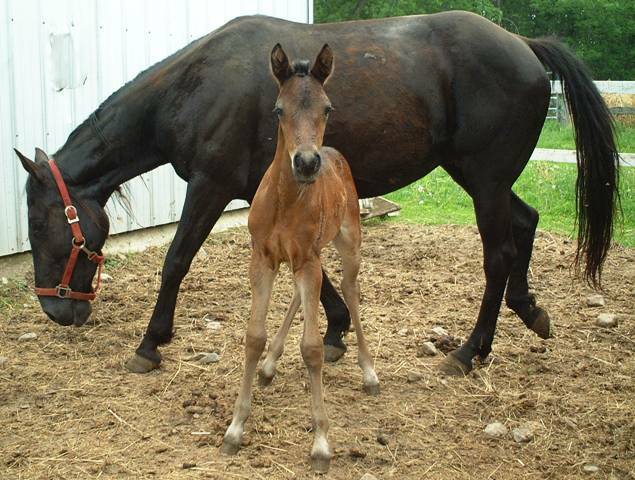 The mare is the foundation of a breeding program. It is said that the dam contributes 60% of the genetic make up of her foal and has incredible influence over its temperament and attitude. 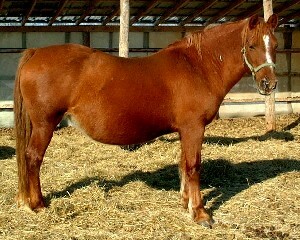 The stallion is the "icing" and must compliment the mare to produce a superior offspring. 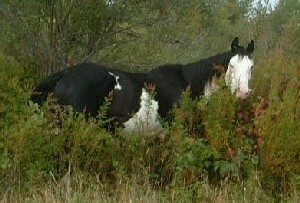 Click on their names for more information on their foals and accomplishments. 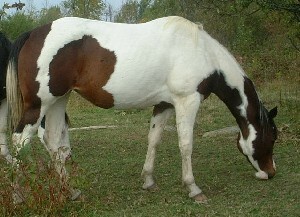 Bay TB Mare - 16.1 hands - owned by Carl Allen. Dam of 3 amazing Anglo fillies by Ibn Bee.